The PAX Good Behaviour Game is a classroom based game that helps to teach children vital self-regulation skills in a fun way with immediate and future benefits. Preparing for Life and our partners – Midlands Area Parenting Partnership, piloted the programme across 21 schools in 2014 with hugely positive results. Children’s capacity to engage with learning, to manage their behaviour and to regulate their emotions are essential skills to enable them to benefit from the academic and social learning opportunities provided in schools. Through effective implementation of the PAX Good Behaviour Game, teachers can recover up to one hour of teaching and learning time that would otherwise be lost to disruptive behaviours. Teachers attend two-day training followed by on-site support from an experienced mentor to help them implement the game in their classroom. Preparing for Life currently supports the implementation of the PAX Good Behaviour Game in six of our partners schools and DEIS schools in the Northside Partnership catchment area. In 2017, Preparing for Life collaborated with TUSLA to deliver PAX Good Behaviour Game to schools in the inner city as part of the Taoiseach’s North Inner City Initiative. 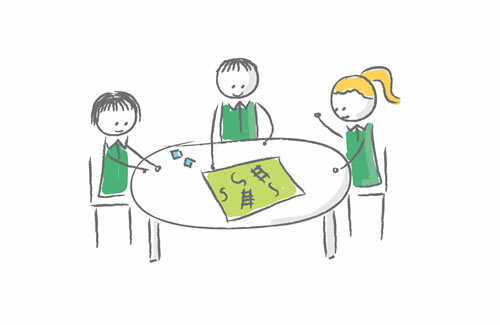 The Good Behaviour Game has been proven to significantly reduce the number of classroom disruptions allowing more time to be spent on teaching and learning. It has also been shown to lead to significant benefits in later life including reduced risk of drug / alcohol abuse and reported suicidal ideation.